…but first, I’m so excited to announce the winner of the Tuesday’s Handcrafted Contest! 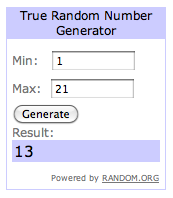 The winner is… lucky #13!! JUANITA!! You sent me an email answering all of the questions in Tuesday’s post and the Random Number Generator picked YOU!! I will box up two needle-felted Peeps for you today. Thank you so much to everyone who participated! I appreciate your feedback more than you know. I will be conducting more give-aways in the near future so if you didn’t win today, you may have another chance very soon. AND if you were really really hoping for those needle-felted Easter Peeps, as of today, I’ve added a few more to my etsy store. NOW! 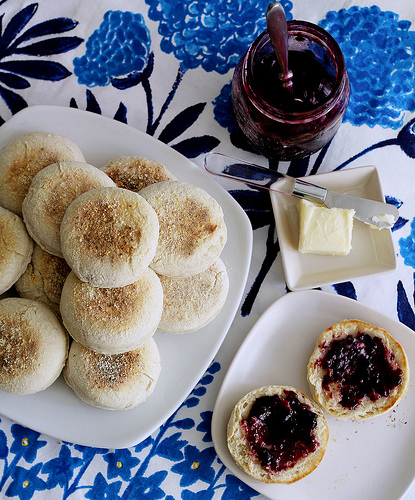 Onto a tasty breakfast treat that was an eye-opener for me, and a crowd-pleaser for my family: English muffins. I’ve grown up eating these things, and had never really considered how they were made. 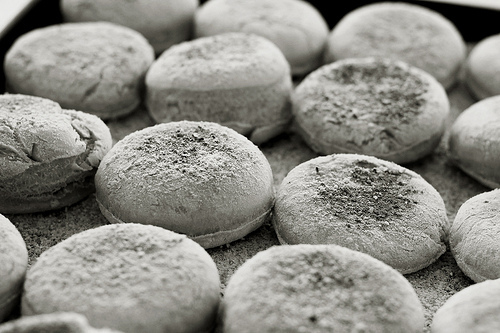 For instance, I had no idea that you didn’t actually bake English muffins. Warm the milk in a small saucepan until it simmers then remove from heat, and mix in the sugar, stirring until dissolved. Let this cool until its lukewarm. In a small bowl, dissolve the yeast in warm water and let stand until its creamy, about 10 minutes. 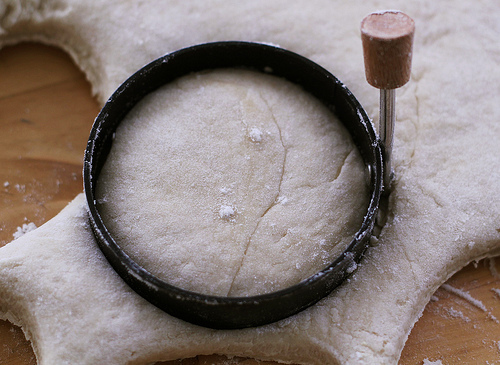 Punch down the dough, and roll it out to 1/2 an inch thick. Line a cookie sheet with waxed paper and sprinkle it with cornmeal. 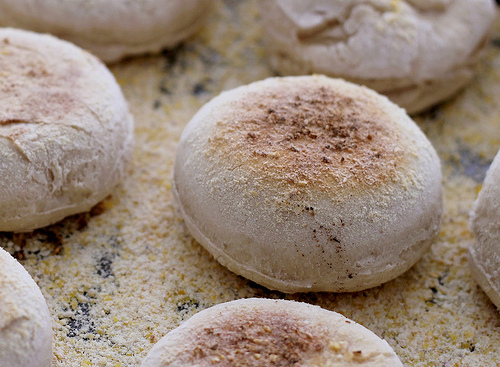 Using a biscuit cutter, cut out the muffins, and set them on the cornmeal-dusted wax paper. Dust the tops of muffins with cornmeal as well. Cover and let rise 1/2 hour. Heat up a lightly greased griddle (I used my crepe pan), and cook the muffins on the griddle for about 5-10 minutes on each side at medium heat. This should bake the muffins thoroughly, however, if you are doubtful (which I was- I can be such a skeptic! 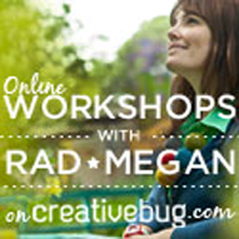 ), you can heat your oven (yes, it’s cheating!) to 350, place the cooked muffins back on the cookie sheet and into the oven for an additional 5 to 10 minutes. I’d like to say that for the record, that I am really looking forward to baking these on the griddle the next time we go camping! No oven? No problem… ? 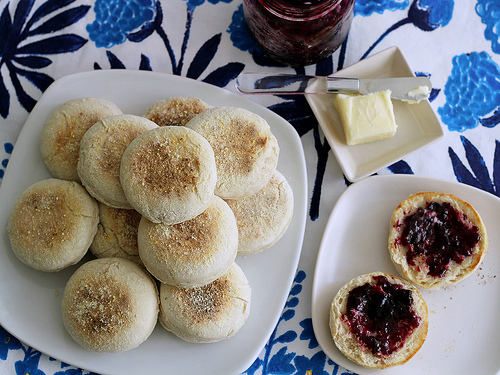 Serve the English muffins toasted, with butter or jam for a tasty breakfast or special treat with afternoon tea. Recipe yields about 18 depending on size of your biscuit cutter. One last thing, do any of you remember that nursery rhyme, “Do you know the Muffin Man?” That was about a door-to-door English Muffin salesman. I was singing that to myself while toasting up a tasty homemade muffin this morning. Mmmm mmmmm! Happy Friday to you all, and thanks again for reading. 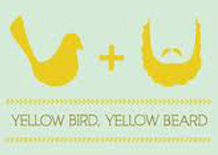 This is officially saved in my Recipes bookmark folder to try out! They look so awesome! I bookmarked this one. Thanks for sharing the recipe. Celia! You were so close- Im sorry! I’ll keep my fingers crossed for you for the next contest! 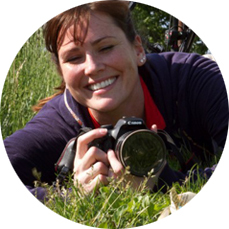 Tabitha, thank you! I hope you enjoy! Those look absolutely wonderful. I’m sure they were tasty. They seem way easier than one would think, thanks for sharing. yum, these sounds wonderful. 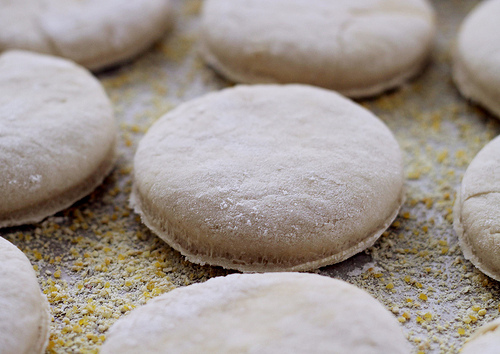 I’m eating english muffins right now and I just remarked that I should try making them my self. Thanks for the recipe! Well that’s cool. I have a large enough kitchen to try this too!